Hi Tola! 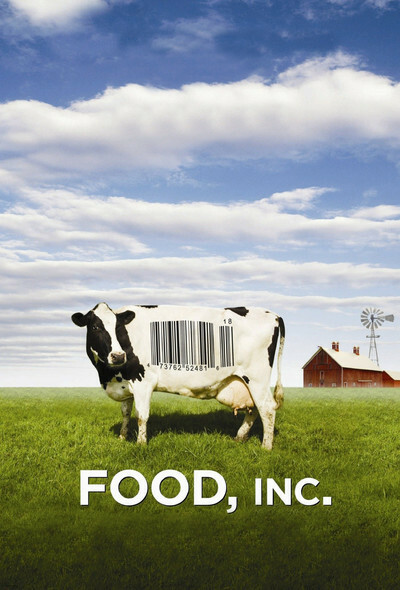 Have you seen the movie “Food, Inc.”? It’s a good watch. Cheers! Since I had heard of the movie but had never watched it, I decided to search the web for it because it deals with the subject of highly-mechanized and Industrialized food production, particularly in the USA. Initially, one might think what a wonderful thing the industrialization of food has been. We’re now able to “produce a lot of food on a small amount of land at a very affordable price.” Why wouldn’t that be a good thing? Back in the 1950’s, it took 70 days to raise a chicken. Today, chickens are raised in 48 days and they are twice as big. Additionally, since more people like to eat white meat, the chickens have been redesigned to have larger breasts. Progress. In addition to taking a look at meat and poultry, the film also points out that 30% of our land is being planted in corn. Corn is used to feed chickens, hogs and cattle and now even to fish. If you look at the products on the supermarket shelf, you will probably find corn or soybeans (or both) in 90% of them. Cows are not designed by evolution to eat corn; they’re designed to eat grass. But because corn is cheap (since the government subsidizes it) and it makes them fat quickly, we feed them corn. If you take feed lot cattle off of their corn diet, give them grass for 5 days, they’ll shed 80% of the E. coli in their gut. This part of the movie shouldn’t have surprised me at all, but it did. The extent to which businesses and the agencies that regulate them are in bed together is mind-boggling. Why isn’t more being done about this conflict of interest? Where’s the media when these things are going on? There are also other online sites for the full movie, including where it can be watched free. Standing up to Monsanto, The GMO King, is not easy even in powerful USA. July 4, 2016. Nigeria changes tune on NK603 gmo – “we only approved field trials”! June 22, 2016. Monsanto finds fertile market in Nigeria’s unregulated pesticide market, June 15, 2016. 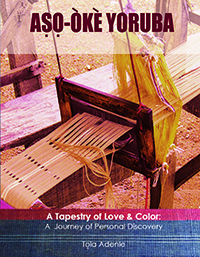 Thank you for all you’re doing to spread the word, dear Sister mi, o! Maybe we have no power or influence over the powers that make these decisions, but we sure can educate our own people about the evils of engineered crops, pesticides, maggie cubes, tinned foods and so on. I find that our people–everywhere, including African-Americans in this land of free information–are typically the last to become aware of vital health issues. And now we have sunk to a level where we believe organic farming is impossible or unsustainable, and that we must rely on mass food production for sustenance. People in Ekiti now shamelessly sit waiting for yams, tomatoes, peppers etc, etc. from the Sahara. Given this mindset and the lack of education around mass-produced crops, what’s to stop Monsanto from setting up shop? A couple of years ago, a friend who had searched for work in vain for years landed a (monsanto?) contract to market fertilizers in Abuja/Lagos. She was aware of the debate, but she needed the job! I suppose this sort of development is inevitable given our sad colonial history; nations created for the sole goal of funneling their creators with raw materials, and not much more; leaders educated to see to the funneling and not a thing more. What a miserable and unfair lot, and a far departure from our human nature! As is still the case among the Japanese and Scandinavians, Ikere and all Ekiti of aye igbamusi fed themselves robustly. Ikere’s planting and harvest seasons united the people, and brought about the most joyous occasions in the town. But we have become a people with the shortest memories ever. And in spite of all we (as individuals) have been able to achieve in recent times, we continue to be a highly- relegated people, almost as badly as in the days of slavery and colonization. Pitiful, indeed! The system that’s wrecked us in this and many other ways also impacts the giant called the US. Fortunately for the US though, and herein lies the difference, there are certain inherent mechanisms that serve to turn things around. I think maintaining schools that serve as true sources of research and education is a huge benefit. I send you this new item from Harvard via The Christian Science Monitor. Thanks for this. I’ve posted it beyond here (Comments) so that others can benefit from the comments and the reference. My sister’s little veggie patch at Akure has been an eye-opener to a few people. In reply to Remi Omodele.